To support filmmakers in identifying programs,which will develop their skills and talents; to arrange for activities and create an environment promoting filmmaking. Plan and implement programs that support filmmakers at different levels to practice and develop their projects. Follow-up and track filmmakers’ achievements and development. Provide filmmakers with advice regarding filmmaking opportunities. Create a filmmakers’community within the Film House through activities such as:private screenings, lectures and various creative events that are dedicated to create a vibrant filmmaking community to promote the art of storytelling in different medium. Support, guide and direct filmmakers on available opportunities that could develop their skills and projects, in terms of funds, training, on job training, festivals, etc. 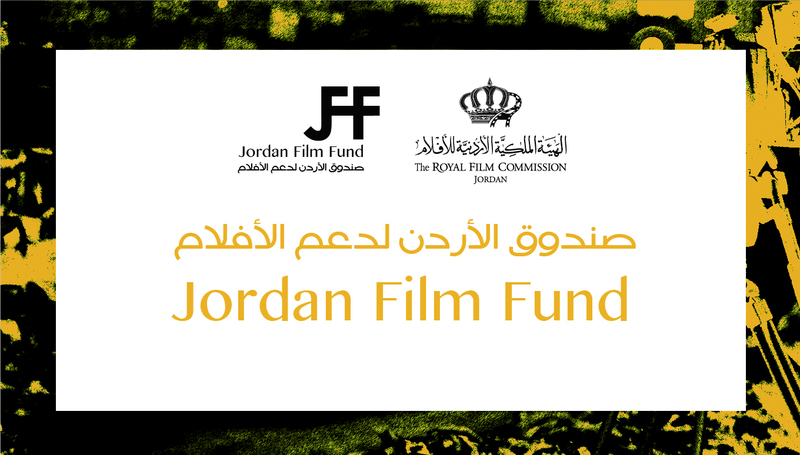 Plan and implement activities on filmmaking in Amman and the rest of Jordanwhen requested. Liaise with regional and local institutions or individuals that can be partners and be part of the activities and events in Jordan. Coordinate and cooperate with all other departments/programs at RFC. Supervise interns and trainers responsible for providing assistance/services in programs/projects managed by the incumbent. Any other task requested by the supervisor. University graduate in any field related to filmmakingor Business Administration. Experience in filmmaking and film industry is a plus. Excellent interpersonal skills locally and internationally. Ability to manage and support groups and events. 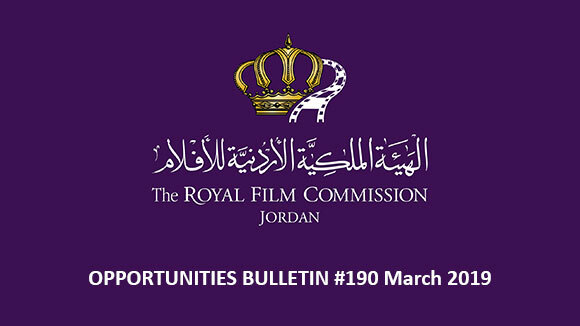 Please send your application to the following email: recruitment@film.jo no later than 31 October 2016, and indicate clearly in the subject of your email the title of the position you are applying for. 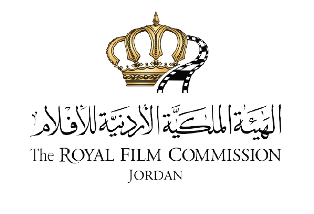 Reporting directly to the Regional Training Department Manager, the Administrator is responsible for overall administrative, logistical & accounting aspects related to Rawi Screenwriters’ Lab, Med Film Factory, Film Prize of the Robert Bosch Stiftung and Med Culture. Facilitate requirements when needed between departments at the RFC and partners/ service providers involved in the projects in Jordan and abroad. Implement events, adhering to RFC policies and procedures. Assist in the coordination of all legal contracting of external crew, contractors and consultants with the Manager, with the RFC legal advisor. Liaise with RFC’s Administration Department regarding travel, bookings, purchasing, quotations, and logistics for all projects and programmes. Assist in creating program schedules and time tables for each of the department’s training programs. Responsible for scheduling evaluation calls, interviews with potential program candidates and programs’ committee discussions. Submit breakdown sheets analysing the applications submitted for each of the department’s programs and their status. Follow up with the department’s projects’ applicants on all aspects of their applications. Update the department’s projects’ applicants on the status of their applications. Provide inputs relevant to updating the Med Film Factory and Rawi websites: edit, proofread and translate texts/reports as required as well WebPages material in both languages. Coordinate publication materials with related parties such as participants and RFC departments. Excellent communication and writing skills in Arabic and English, French is a plus. Exceptional computer skills, specifically Microsoft Office Suite. Willingness to work outside the regular working hours when needed. Luxor African Film Festival is an annual event organized at the city of Luxor in Egypt. 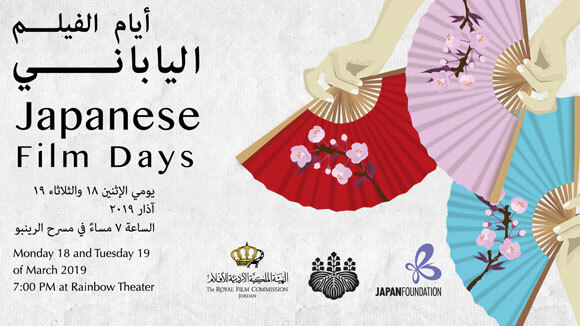 The festival’s 6th edition will take place 17 – 22 of March, 2016. The festival aims to support and encourage African film productions and partnerships between the countries of the continent through strengthening the humanitarian and political ties between the peoples of Africa in general and African artists in particular. The festival is now calling for submissions and will screen long and short films produced in African countries, made by African filmmakers and concerned by African subjects, of 2016 production. Luxor FF consists of 4 competitions: Long Narratives, Long Documentaries, Short Films (Narratives and Documentaries) and The International Competition of Freedom Films as well as other special sections. The deadline for delivering prints of the selected films to the festival’s headquarter is the end of January 2017. Film submissions are now open to Tripoli Film Festival – Lebanon (TFF), which will take place from April 27th until May 4th, 2017. Eligible Movies: Feature Film - 80 - 105 min / Short Movie - less than 30 min / Animation - less than 30 min / Feature Documentary - from 50 to 90 min / Short Documentary - less than 30 min. Films completion dates should not be earlier than January 2015. Movies shot in Lebanon,partially or completely,should enclose a copy of the Lebanese “Sécurité Gérnérale” shooting permit. Submission of film materials and entry form does not guarantee screening during the festival, or during any of the out of competition events parallel to the festival. If your film is selected for the TFF 2017 official selection, you accept to send, if the organiser findsit necessary, the final screening copy via an express courrier after the selection announcement. Otherwise, your film will be disqualified. Held in Beirut and organized by "Nadi li Kol el Nas", the Arab Short Film Festival is an annual Lebanese and Arab student and youth Film Festival that aims to provide a chance for dialogue between the directors and the audience. 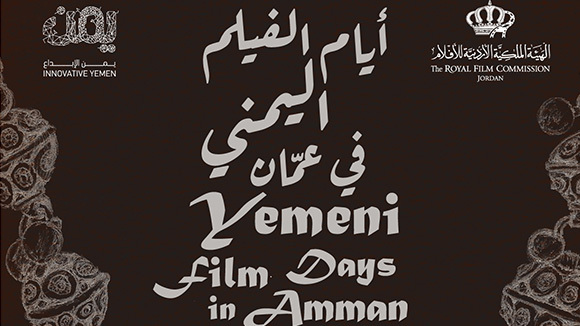 The festival is currently calling for film submissions from Jordan, Palestine, Morocco, Syria, Iraq, Egypt, Qatar, Algeria, Tunis, UAE, KSA, Kuwait and Sudan. Providea setting for the youth to shine and show their work. Encouragethe making of short films. Encouragethe youth to produce more cinematic works. Providea setting for Lebanese and Arab producers to discuss and exchange ideas. Usecinema as a way to mirror the on-goings of the Arab world. DVD and Mini DVD of the film. This workshop is an opportunity for local and Gulf-based producers to develop their skills further with experts in the field, in a small and intimate group of up to 10 projects. 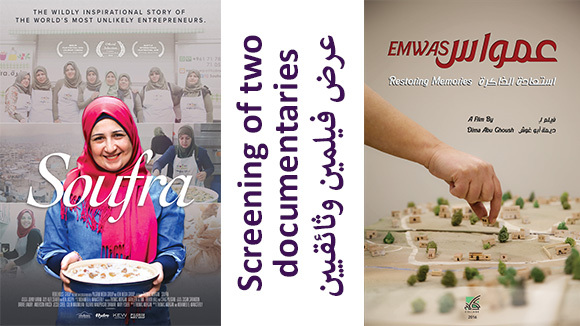 This intensive one-week programme takes place in Doha and focuses on the creative, artistic and strategic aspects of producing short or feature-length documentary and fiction films. Through intensive training exercises, group tutorials, tailor-made one-on-one meetings and master classes led by noted industry experts, participants will gain deeper insight into various elements of film producing and come to truly understand the role of a producer. The workshop is designed for producers, investors, financiers, directors and film students, or anyone interested in entering the filmmaking business in the area of production. Participants must be based in Qatar or in the Gulf region. A total of eight to ten participants will be selected for the workshop. The director/screenwriter will be able to partake in some aspects of the program. The 43rd Seattle International Film Festival (SIFF) is now accepting film submissions for the 2017 edition. SIFF will be held May May 18 - June 11, 2017. SIFF's mission is to create experiences that bring people together to discover extraordinary films from around the world. It is through the art of cinema a community is fostered to be more informed, aware, and alive! The submission of international films to Göteborg Film Festival 2017 is now open! The 40th edition of the festival will take place from January 27th until February 6th, 2017. The main goal of the festival is to be bring films from all over the world to Göteborg and to be the springboard that sends new Nordic film out into the world. 1. Feature films available on 35mm or DCP. The length must be 60 minutes minimum. 2. Documentaries available on 35mm or DCP. The length must be 45 minutes minimum. To be considered for the festival 2017, the submitted film must have had its first public screening after January 1, 2016. Please note that any screening of the film in Sweden prior to the Festival automatically disqualifies the film from participating in the Göteborg Film Festival. The deadline for submissions is on the 25th of October 2016.